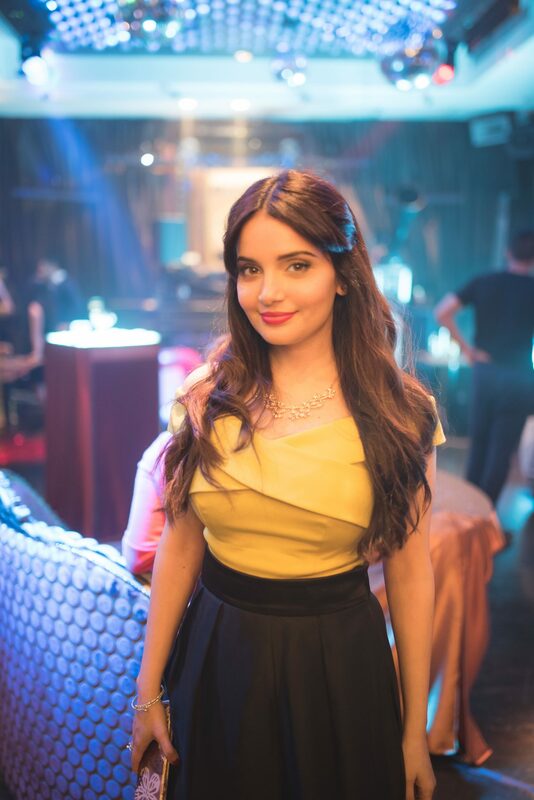 Lead actress, Armeena Khan, stunned her fellow cast and crew as she walked on set to play Agent Wilson in The Real Target. Agent Wilson is a double agent from Canada; a disarming character with friendly charm, yet she holds a dangerously high I.Q. working for the lead antagonist as a ‘Covert Operations Technical Specialist’. Armeena is captured behind the scenes with the writers and creators of The Real Target, Yolanda Lynes and David Cheung, during filming the pinnacle Secret Agent Auction Scene at an exclusive location in Mayfair, London. Photography by Ling Whye Hang. The Real Target is a story about a team of secret agents sent to track down weapons of mass destruction and expose corrupt government officials. Agent Wilson is a key character in this action packed film. 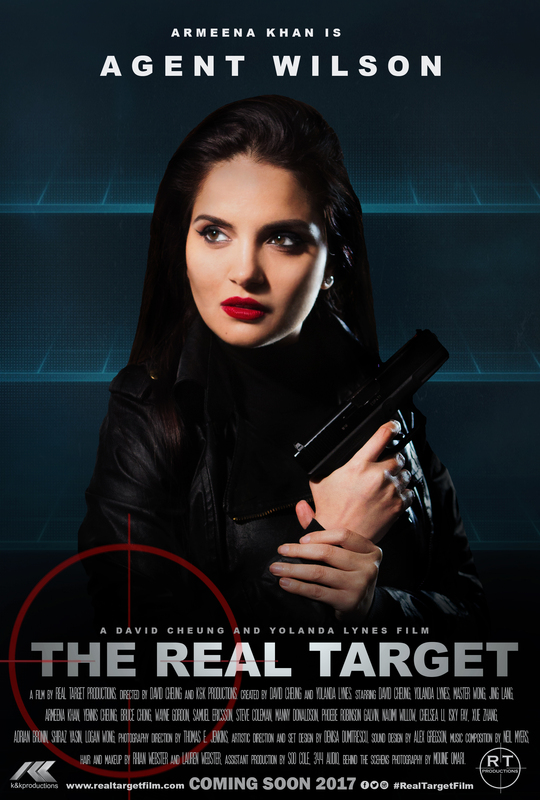 Armeena Khan’s Official Character Poster captures Agent Wilson on a mission in The Real Target. Stay tuned for more exciting updates on the making of The Real Target! Follow us on Facebook, Twitter and Instagram!